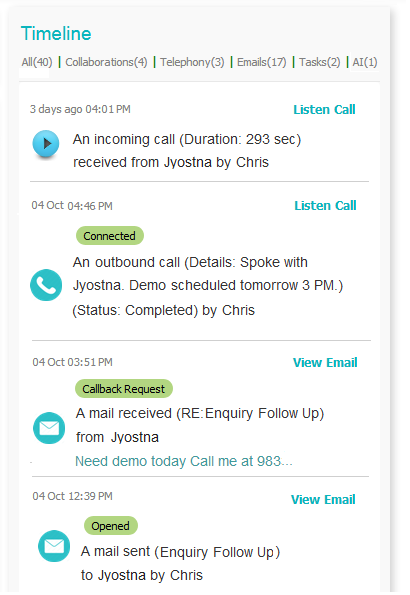 Integrate your email to send, receive and track email communications from within CRM. Integrate email from your email provider (Outlook, Gmail or Custom SMTP) with Kreato. All the received sales emails will be scanned and synced to the specific lead & contacts based on the email addresses. 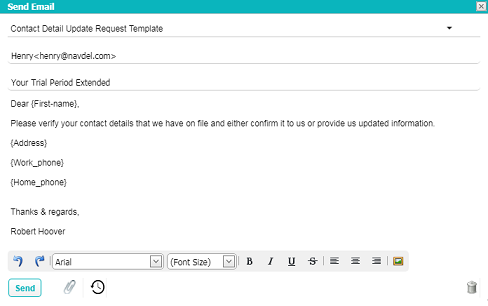 Achieve consistency in sales email communications via pre-written HTML and text templates. Use merge tags to insert personalized content specific to the customers into the email communications. Kreato auto captures all outbound email messages on lead & contact’s timeline with no manual feed required, regardless of whether they have been sent via Kreato or your inbox. In addition to the individual emails, Kreato helps you to send bulk emails in seconds of time. Regardless of individual or bulk, you can personalize the email messages that are sent.